Join the global movement and make a life-changing impact. As you can see in the video PolyOne has been pivotal in the creation of the USee and our ability to reach millions. We are forever grateful for their partnership. 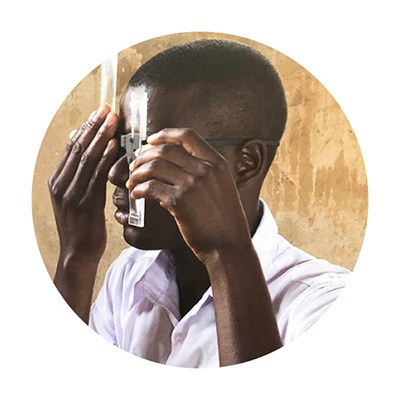 We’re excited to offer you the opportunity to help fund wonderful projects with two of our current partners Maun to Maun, Fundación Paraguaya, and Lifetime Wells International, to provide eyeglasses in Paraguay, Tanzania, and Ghana. Your support will change lives! Just imagine living your life with blurry vision. It is a reality for many; but we can fix that. 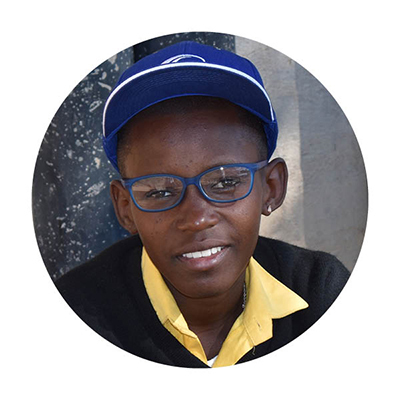 We can end an epidemic one pair of eyeglasses at a time. No donation is too small! $1.25 Million. 250,000 Eyeglasses. It’s bold. We’re determined. You’re vital. Why? Because we’re ready. And we want to end an epidemic. Our USee production is up to speed and we have projects to continue on the ground in places such as: Kenya, Tanzania, Ghana, Myanmar, Mali, Philippines, Pakistan, Haiti, Malawi, Paraguay, and China. Your support will provide the needed funding to expand our programs and build new partnerships across the globe. …Literally. The color and number on the lens bar corresponds with a lens in the kit. They are then “snapped” together by a trained refractionist. Now that I wear glasses I can see clearly! I walk away with the specs and microfiber bag to protect and clean them. It’s as easy as #dialsnapwear! 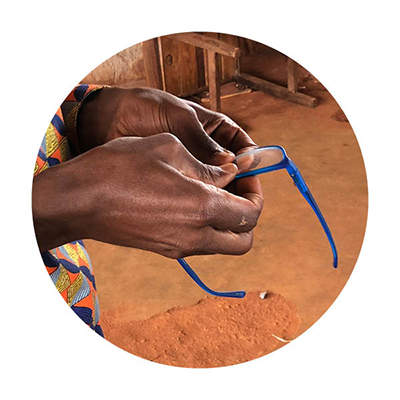 The USee is a unique screening tool that enables the delivery of corrective eyeglasses. Clear sight is the gateway to safety, education, prosperity, and self-sufficiency. 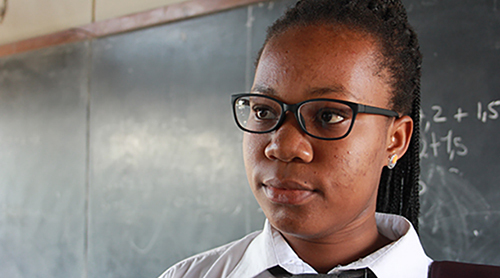 The USee provides the opportunity to serve 2.5 billion people who lack access to optometrists. It enables virtually any trained refractionist to perform a visual acuity test and deliver prescriptive eyeglasses.